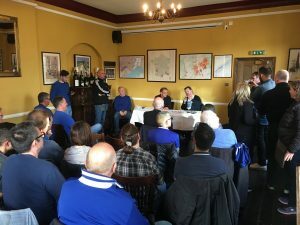 Chelsea Supporters’ Trust held their second Special General Meeting of the season after the Swansea City match. The SGMs are a good chance to report back to the membership, in person on progress with the issues we are mandated to pursue and have a face to face dialogue with the members. 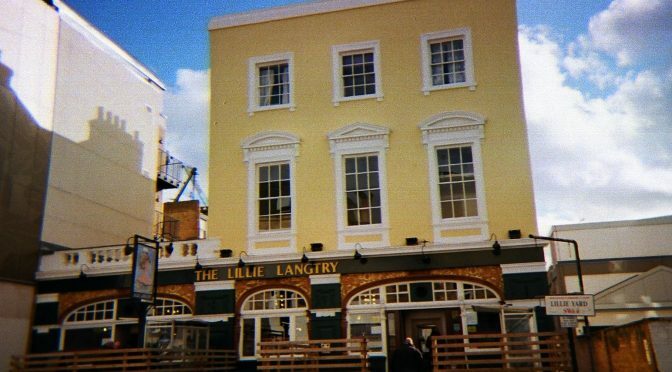 Held in a venue new to us, The Lillie Langtry Pub we were well looked after and a decent turnout from the membership were updated on issues such as the Membership Survey and the move to a Temporary Stadium. 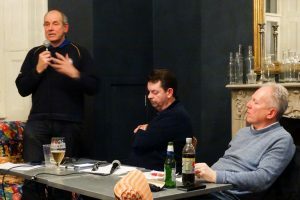 In addition, board members reported back on initiatives such as ‘Kick-Off Times’; the Stamford Bridge Redevelopment; work on improving the atmosphere at the Bridge; work with Supporters Direct, The Football Supporters Federation and with fellow Premier League Trusts and work with the Overseas Membership. 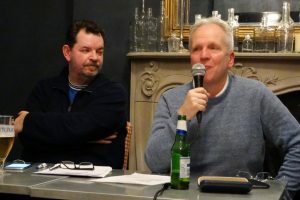 Cliff Auger formerly announced our work towards the commemoration of ‘Founder’s Day’ at the Brompton Cemetery and our continued work helping to clean up Chelsea related graves at the cemetery. After formal proceedings, a very informative Q & A session was held with Charles Rose, Chairman of the Chelsea Pitch Owners where Charles answered questions on why the CPO continues to be important; what the CPO’s involvement with the Stamford Bridge redevelopment is and what the future of the CPO is after the move back to the redeveloped Bridge. Question and Answer session with Charles Rose, Chairman, Chelsea Pitch Owners. Charles will be covering issues relating to the future of the Chelsea Pitch Owners and their role in the Stamford Bridge redevelopment, temporary stadium and return to the Bridge. 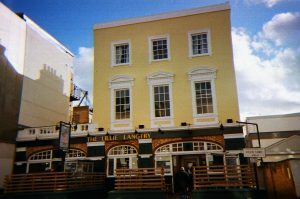 The next CST Special General Meeting will be held at 17:30 at the Lillie Langtry, 19 Lillie Road, London SW6 1UE after the Swansea City game on Saturday 25th February. 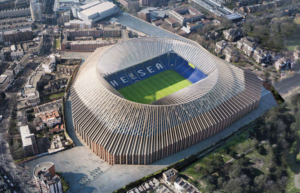 Uppermost in Chelsea Supporters minds at the moment is the issue of the Stamford Bridge redevelopment, a move to a temporary stadium and what role the Chelsea Pitch Owners will play in this. To that end, we have invited Charles Rose, Chairman, Chelsea Pitch Owners to hold a Q&A session on issues relating to the CPO, its future and role with the Club and redevelopment going forward. As the information below shows, this and other issues such as Atmosphere, Affiliations, Supporter Issues and Community will be covered in the meeting. You will also have the chance to ask questions on any pertinent matter and get your points across to the board. The formal notice of the meeting and the agenda can be found below. 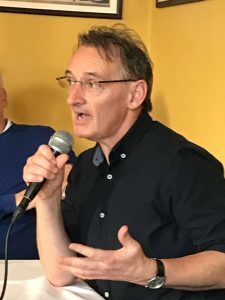 The CST board are pleased to advise members that the SGM will feature a Question and Answer session with Charles Rose, Chairman Chelsea Pitch Owners. Charles will be covering issues relating to the future of the Chelsea Pitch Owners and their role in the Stamford Bridge redevelopment, temporary stadium and return to the Bridge. 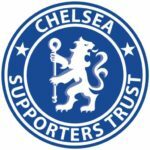 We would welcome questions in advance to membership@chelseasupporterstrust.com using “CPO” as the subject line. 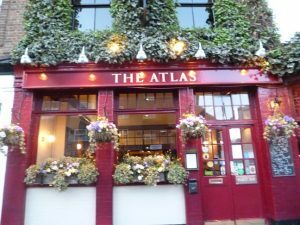 The venue for the SGM is the upstairs Bar of The Lillie Langtry, in Lillie Road, 15 minutes’ walk from Stamford Bridge and close to West Brompton underground station. Attendance at the meeting is open to voting members of the Trust only. Membership to the CST costs £5 per year and includes a free pin badge. You can sign up easily from our website and we accept payment by credit or debit card or via PayPal. We hope as many of you as possible will attend in person! 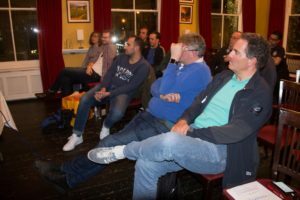 With thanks to the Chelsea Football Fancast, overseas members or those unable to attend in person will be able to listen to the meeting live and interact online at www.mixlr.com/chelsea-fancast. Minutes and a podcast of the SGM will be available following the meeting. It is anticipated that the formal meeting (including the Q&A) will end by 19.00 at the latest. 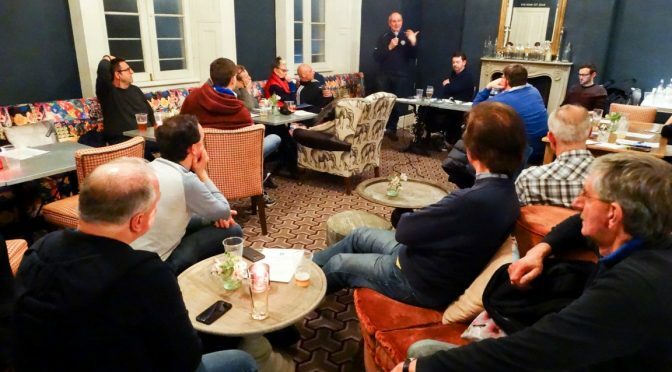 After the wonderful win against Man Utd the Chelsea Supporters Trust held their first Special General Meeting of the season to discuss the new Board; the new Working Groups and to reveal the key points in the results of the annual Members Survey. 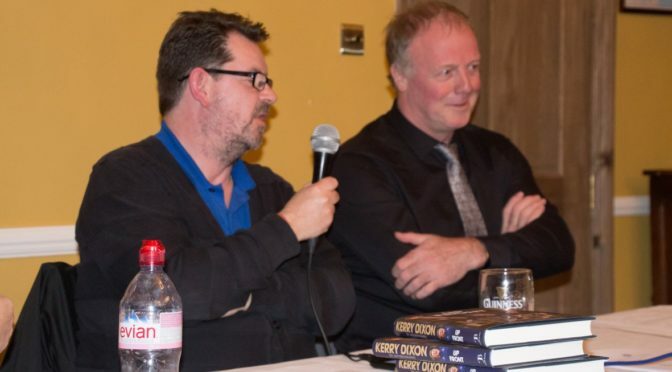 After all that we wrapped up proceedings with a Q&A session with much loved Chelsea legend Kerry Dixon. 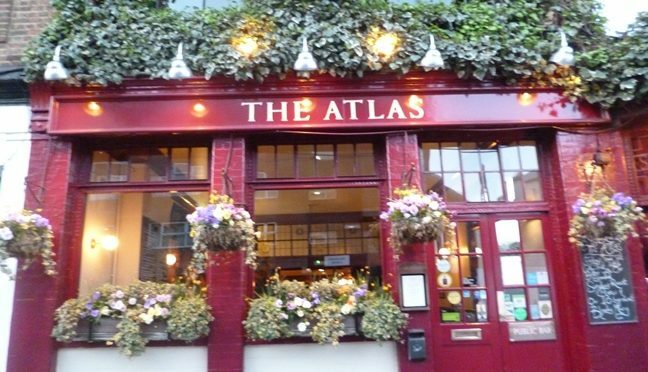 Our next Special General Meeting (SGM) will take place on Sunday 23 October 2016, 6.30pm upstairs at The Atlas PH, 16 Seagrave Rd, London SW6 1RX, immediately following our home game against Manchester United. We plan to kick off proceedings promptly at 6.30pm and to conclude official business by approximately 7.30pm. 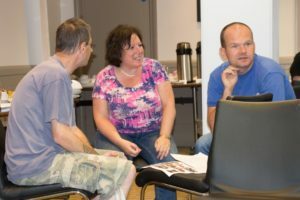 At the meeting we aim to bring news of recent Trust activities, including our latest membership survey results. An agenda should be available nearer the time. 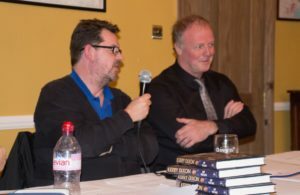 The meeting will be recorded and posted as a podcast shortly afterwards by the Chelsea Football Fancast, and we are also hoping to broadcast the event live, technology permitting! 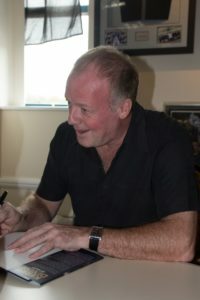 We are also extremely delighted to announce that Chelsea legend Kerry Dixon will be joining us for the meeting, and for an hour or so afterwards to chat about his exploits and to sign a few copies of his new book Up Front, available to buy on the night. Please come along and find out what’s happening with the issues that matter to you. And to meet Kerry of course! This is a Chelsea Supporters Trust members only event. You can sign up on the door, or join us through our web site here. 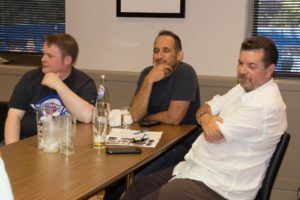 Members attending our recent AGM on 13th August 2016 and who were able to hang around, were treated to one of fine Chelsea journalist Dan Levene‘s popular Chelsea quizzes, lovingly prepared especially for the event. Alas, an orange airline who shall remain nameless almost conspired to prevent our very own Bamber Gascoigne (ask your parents!) from attending. Thankfully board member Debbie Coady was there to kick proceedings off while Dan flew in and rushed across London to join us in time for round 2. 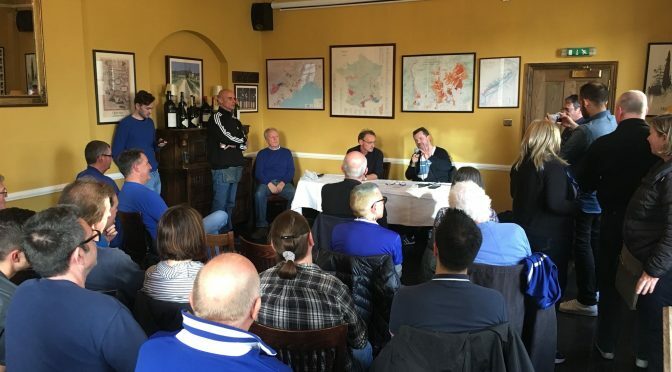 A very enjoyable quiz, with a range of questions of varying difficulty and from different eras of Chelsea’s history. 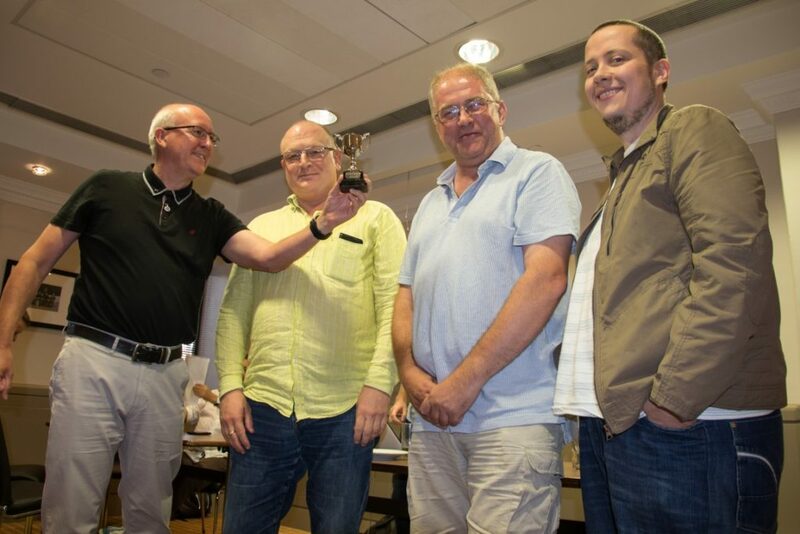 The Chelsea Fancast team were there to defend their crown but it was the Chelsea Penioners who triumphed this year and who were awarded the coveted trophy. 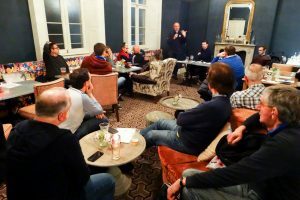 Well done to all who came along and took part, and thanks also to the guys at Stamford Bridge who allowed us use of the room and provided light refreshments. 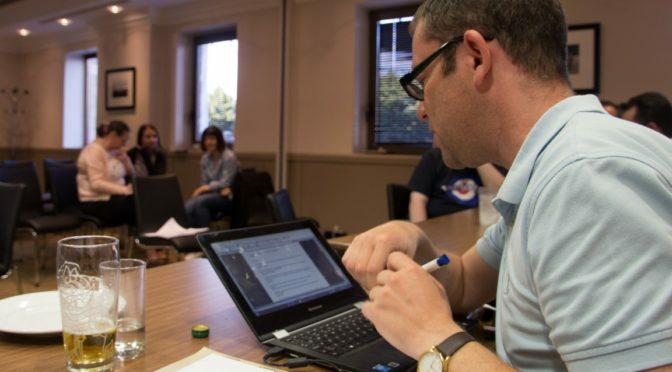 And a big thank you to Dan Levene for spending some considerable time compiling the quiz questions as well as his sterling efforts to get there. Would you like to give the quiz a go? The questions are reproduced below and both the questions and answers can be downloaded at the end of the page. Q1 Whose refereeing did Didier Drogba brand a ‘f***ing disgrace’? Q2 A Daily Telegraph investigations last month found that Stamford Bridge was overrun with rare species of what? Q3 In terms of win percentage, who is the least successful manager in the history of Chelsea? (Min 20 games). Q4 And who is the most successful? (Min 20 games). Q5 True or false: Chelsea have an official whisky partner in Myanmar? Q6 In the modern era of squad numbering, who was Chelsea’s first ever number nine? Q7 What is the postcode of Stamford Bridge? 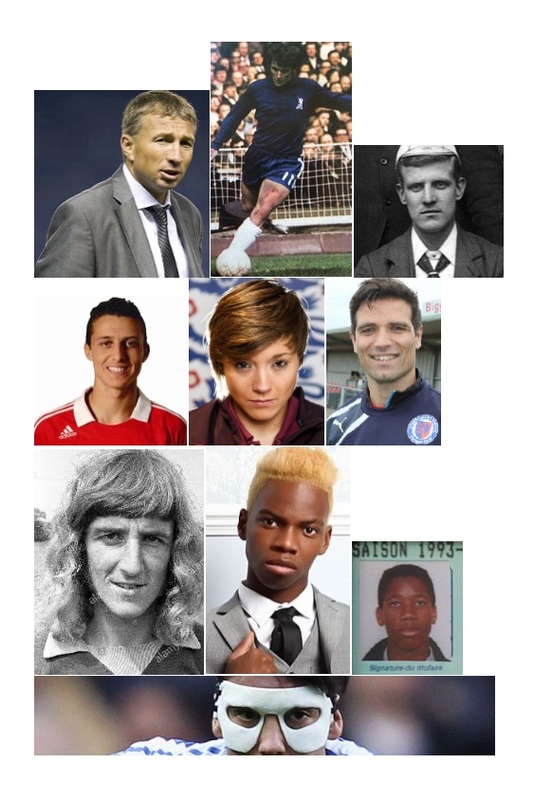 Q8 Which player has been named as a substitute for The Blues more than any other? Q9 When Chelsea won the title in 2014/15, they had three ever-present PL players. Name them. Q10 ‘Stamford bridge to Wembely! Step by step in harmony! Have a drink! It’s party time! Chelsea! Chelsea! You are mine!’ What is the song? Q1 After Chelsea’s 2-2 draw with Tottenham in May, what four-word hashtag did John Terry place on Instagram? Q2 Only one man has taken more than 10 penalties for Chelsea, and scored them all. Who? Q3 Who will Chelsea face in the group stages of their first ever season in the EFL Trophy? Q4 On 29th January 1969, Chelsea’s FA Cup fourth round replay against Preston North End, at Stamford Bridge, was abandoned in the 76th minute. For what reason? Q5 Known to us simply as ‘Oscar’, what is his full name? Q6 Gavin Peacock can often be found preaching the word of The Lord on Twitter, but in which country does he hold his church services? Q7 Chelsea famously wore a grey and orange away kit in 1994-95, but how were those colours officially described my the manufacturers? 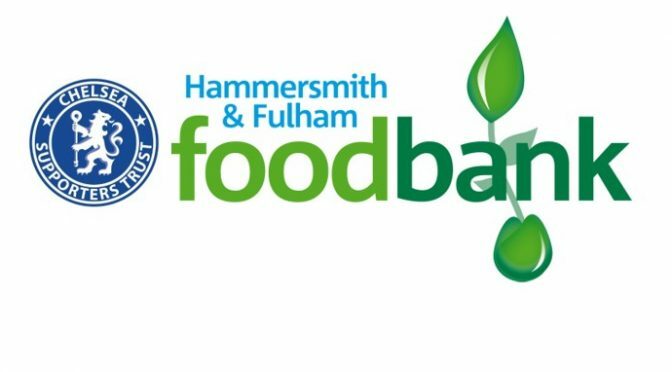 Q8 True or false: Chelsea have trademarked the use of the club name for sole use by them in connection with the production of breakfast cereals, including porridge? Q9 Chelsea famously faced Jeunesse Hautcharage in the 1971/72 Cup Winners Cup. 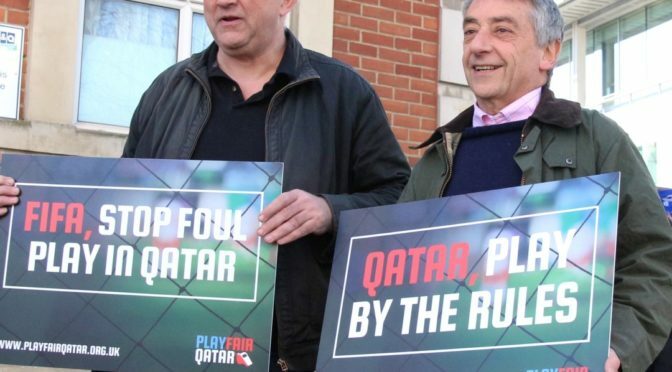 Were their opponents lacking (a) a full set of arms, or (b) a full set of eyes? Q10 In 1982, from who did Chelsea sign David Speedie? Q1 Chelsea have only ever played competitively against one side beginning with the letter ‘Z’. Who? Q2 Chelsea have twice scored eight goals in a league match, but only once scored nine. Who were the unfortunate opponents? Q3 When Chelsea beat Everton at Stamford Bridge in their last title-winning season, the only goal was awarded to Frank Lampard by the dubious goals panel. Who did they take it away from? Q4 In the current set-up, which of Stamford Bridge’s four stands has the greatest capacity? Q5 Which Chelsea player was honoured as a Knight in the Order of Orange-Nassau by Queen Beatrix? Q6 In terms of played, won, drawn, lost – what is Chelsea’s all time competitive record against Real Madrid? Q7 Chelsea were involved in both of the two fastest FA Cup final goals. Who were the scorers? Q8 Who holds the club record for scoring most league goals in a single season? Q9 Why did Chelsea wear red shirts on 13th November 1945? Q10 What is the lowest position Chelsea have ever finished in the Football League? Q1 On 5th May 1982, Chelsea attracted their smallest ever crowd for a post-war league match at Stamford Bridge. Who were the opponents? Q2 Who were the opponents in the first match played by Chelsea at Stamford Bridge? Q3 Frank Lampard, Didier Drogba and Petr Cech all went without one, but a Chelsea physio had not one but two testimonials. What was his name? Q4 Chelsea lost to Juventus in an August 2002 pre-season game, by what unusual means? Q5 True or false: Petr Cech is a twin? Q7 Whose hugely valuable, and somewhat contentious will was witnessed by Glenn Hoddle, plus a London taxi driver. Q8 Who was the only Chelsea player to fail to score his penalty in the 2012 Champions League final? Q9 In 1898, Stamford Bridge hosted a world cup final – in which sport? Q10 Chelsea’s Full Members Cup triumph in 1986 came just 24 hours after the team won a league game at The Dell. The team was unchanged but for one name – who missed out?